Dysfunctional public spaces inhibit pride and make a community feel abandoned. Great ones can become the heart and soul of a place. But I believe that one of the best ways to protect nature is to create and support great "people habitat" in cities and towns. That's where we want humans to reside and prosper, rather than building more pavement and development across natural landscapes. This is one of the many reasons that making cities strong and hospitable (as well as greener) is so important to the environment. Few aspects of people habitat affect the character, strength, and beauty of our neighborhoods and downtowns as much as our public spaces -- the streets, parks, plazas, and gathering places that physically knit our communities together. Dysfunctional public spaces inhibit pride and make a community feel abandoned, unsafe, and unwelcoming. Great ones can become the heart and soul of a place, attracting residents, businesses, and life to towns and cities. 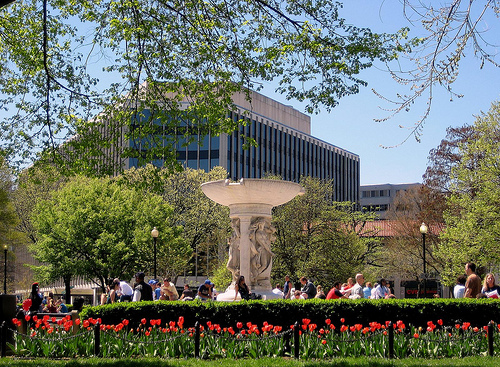 The Project for Public Spaces and the planning news aggregator Planetizen just sponsored an online poll to determine America's favorite public spaces. (The recently announced top ten winners were somewhat surprising.) This inspired me to go into my photo library and pull together a slideshow that illustrates many of the qualities that can make public spaces great. We are excited to be hosting these images as a video, People Habitat, on our new YouTube channel for NRDC Sustainable Communities. The site will be both a place for original content generated by NRDC's sustainable communities team and an evolving library of our favorite videos from others (including NRDC colleagues) on green neighborhoods, cities, and metro regions. Pay us a visit and, if you like what you see, please consider subscribing or favoriting us.